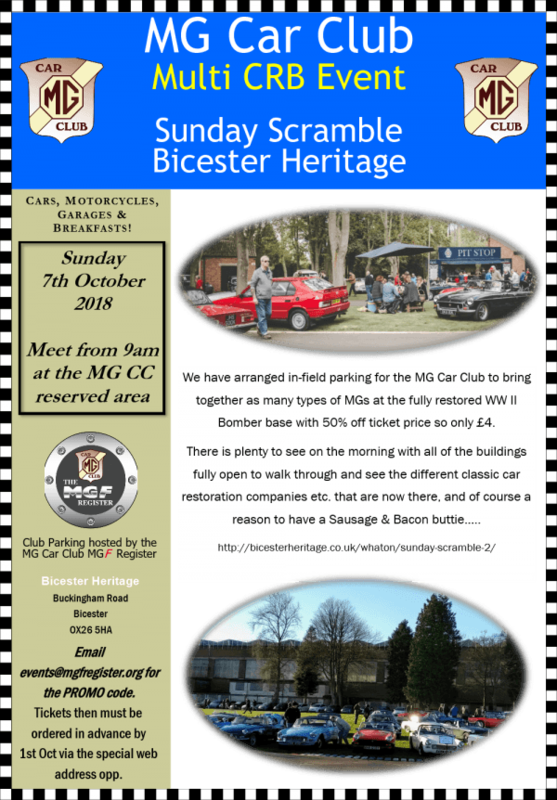 The MGCC have arranged infield parking to bring the MG Group together. There is a discount code available for entry to this event. Drop an email to Ian – events@mgfregister.org to receive the code.